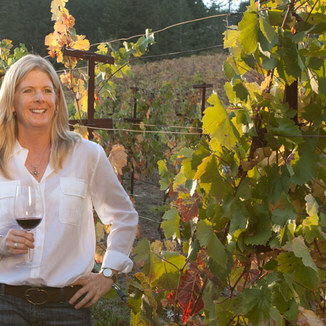 Are you ready, Operative, to be absolutely blown away by a killer Napa Valley Cabernet? 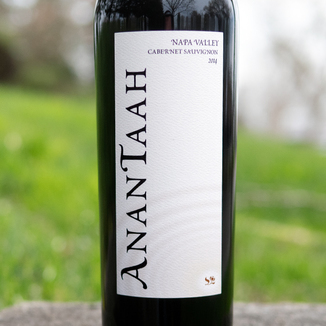 Today’s AnanTaah 2014 Napa Valley Cabernet Sauvignon will blow you away, knock your socks off and leave you wishing for more. What’s the secret to this wine, you ask? Is it the quality fruit from Atlas Peak and Spring Mountain? Read our full review to find out. So, just why is this wine so superb? Believe it or not, it was due in part to the 2014 South Napa earthquake which occurred in the North San Francisco Bay Area on August 24. The shaking had caused an equipment malfunction in the systems that slow the fermentation process by keeping freshly picked Cabernet grapes cool. That process, called “Cold Soak Fermentation”, usually lasts for three days. Because of the malfunction, the grapes were kept cool for a full eight days, imparting the wine with a ton of additional flavors and character. 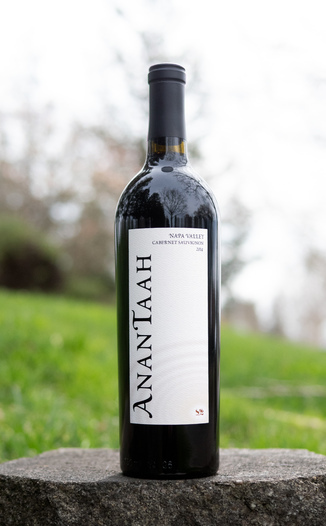 Whatever the case or cause, this wine is complex, elegant and packed with flavor and character. At today’s very special price, we can’t guarantee that this wine will last the day. Please reserve yours soooooooon. The Atlas Peak AVA (American Viticultural Area) is located in Napa County, on the western slopes of the Vaca Range. This mountain separates the Napa Valley from the Sacramento Valley. With an elevation of 2663 feet, Atlas Peak is the most prominent peak in the region. Production of wines in the Atlas Peak AVA dates back to 1870. Of the 11,400 acres of land that comprise the AVA, more than 500 acres are under vine. 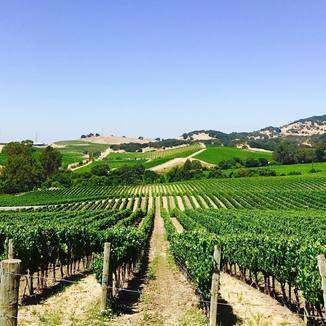 This appellation, which used to be known primarily for Zinfandel production, now produces the premium varietals used to create Bordeaux-style wines. These include the varietals Cabernet Sauvignon, Cabernet Franc, Malbec, Merlot and Petite Verdot, but there are also small plantings of Syrah, Sangiovese, Chardonnay and Sauvignon Blanc. The Spring Mountain AVA is smaller than Atlas Peak, with about 8600 total acres, and under 1000 acres planted to vineyards. Elevations range from 400 feet to just over 2600 feet. The area has a primarily eastern exposure. Local topography and regional weather patterns make the Spring Mountain District the coolest and wettest appellation within the Napa Valley. Spring Mountain’s predominant grape variety is Cabernet Sauvignon, with Merlot being a distant second. In addition, Spring Mountain is home to smaller plantings of Cabernet Franc, Petit Verdot and Malbec, with a few minor sites that favor and support small plantings of Zinfandel, Syrah, and Petite Sirah. On the coolest Spring Mountain sites, a tiny amount of Pinot Noir also grows. Inky black core encircled by a bright maroon lip, this wine is intimidating. Wild and untamed! Wild blackberry, bramble, sassparilla, cassis, and rhubarb. Awesome. Nutmeg, holiday spices, cherry compote, blackberry preserves, and tobacco leaf. Powerful fruit stacked on top of crisp acidity on top of grippy tannin. Hold on for a ride! Perfect for big game! If you’re the type that likes elk, boar, or venison, this is the wine for you.